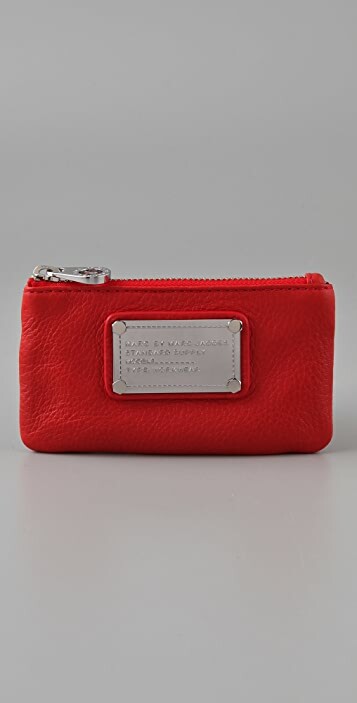 This pebbled leather Marc by Marc Jacobs key pouch features a logo plate and a zip closure. Antiqued gold hardware. Lined interior features key hook. 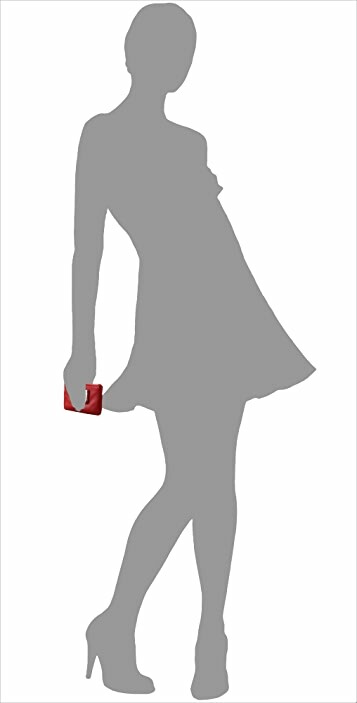 This is a very handy wallet... fits quite a bit of cards and cash. The only problem was that the one I received had some white staining on the front and back. It bothered me at the beginning, but I've gotten used to it. Hopefully it'll wear off soon! Otherwise, it was a good purchase! I have the matching Natasha in the same color. Love it! Great for putting extra change and keys in it. Silver color hardware is different from the more common copper ones in other seasons. 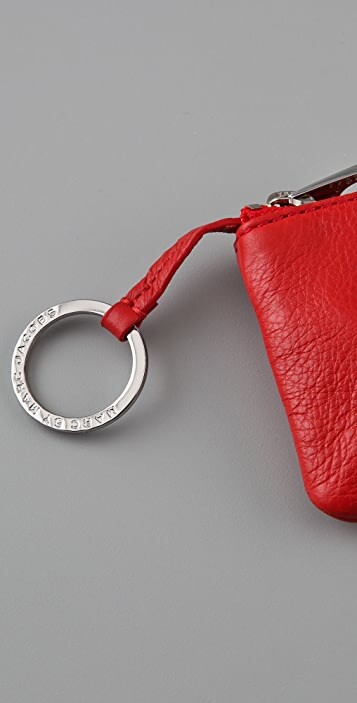 This is a perfect key pouch fit a lot of things like money, cards, papers, and its excellent to put your keys and found they really quickly in you big bag. Every time I took it out of my bag I get compliment from everyone. 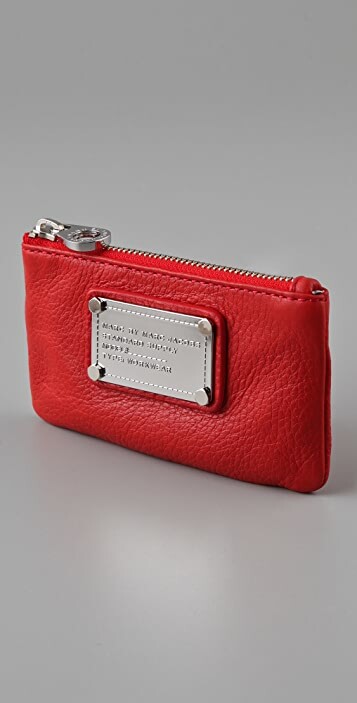 Totally recommended its 100% cow leather and its gorgeous, mine is pink but now is out stock.